The largest annual alumni reunion, coupled with one of the Northeast’s most scenic – and challenging – half marathons! Experience Pok-O-MacCready’s Family Camp for yourself and get a sense of all that Pok-O-MacCready has to offer! 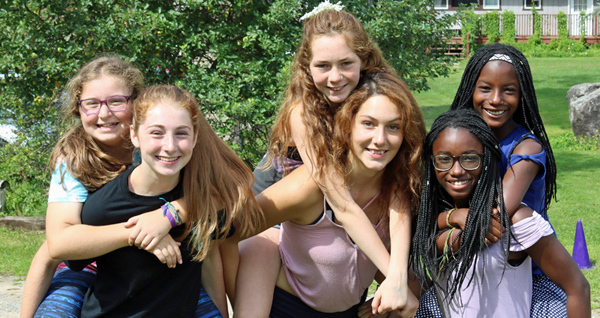 With affordable rates, our Family Camps in New York are an inexpensive way to experience summer camp in Upstate NY’s Adirondacks and create lasting memories with your family and discover what Pok-O-MacCready is all about! Stay tuned for announcements about open houses and get-togethers at camp, and around the country. We’d love to keep up updated on the news and events at Pok-O-MacCready Camp! If your contact information has changed, please click the button below to update us. Over the past several years there has been a marked increase in interest among former campers and staff of Pok-O-MacCready returning to visit. This is a great thing, and we encourage everyone to come back to “the greatest Camp in the universe” to visit, lend a hand and to recharge their Pok-O Spirit! That being said, we must keep in mind, first and foremost, the safety, health and happiness of our current campers and staff. In order to keep Pok-O running smoothly, while at the same time encouraging alumni and past staff members to come back and see us, we’ve created this Pok-O-MacCready Visitors’ Policy. 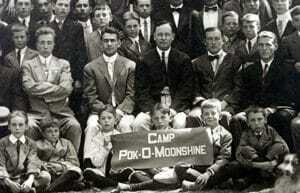 Interested in history of Camps Pok-O-Moonshine and MacCready? 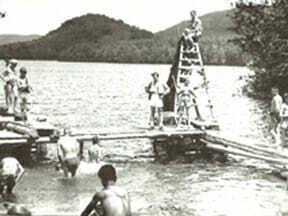 For over 100 years, Pok-O-MacCready has provided summer memories for tens of thousands of campers and counselors. We welcome you to relive those memories. 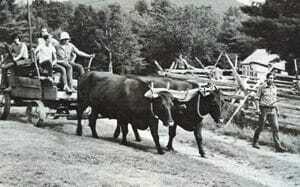 In late 1904, Dr. Charles Alexander Robinson was looking for a cottage in the Adirondack mountains. Robinson, a former professor of Greek and Latin at Princeton, had just taken a position as the new Headmaster of Peekskill (NY) Military Academy. 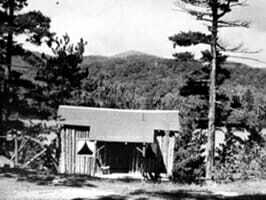 Having purchased land with three building on Long Pond, Dr. Robinson set about establishing a summer camp for P.M.A. students, and the public at large. 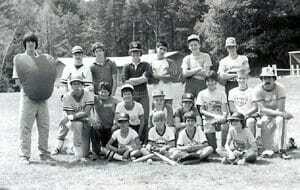 The camp season was cut down from the full summer to eight weeks, with tuition holding throughout the decade at roughly $125 for the full season. 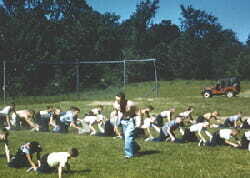 Headmaster Condit Eddy popularized the early morning “polar bear” dip…. the “Pok-O-Picnic” was created as a way to celebrate the birthday of Dr. Robinson’s daughter, Sarah…. 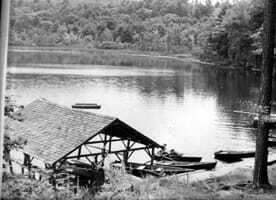 The land which is would later become Camp MacCready was purchased from Matty Ryan…… Eddie Cameron would compose most of the memorable camp songs. 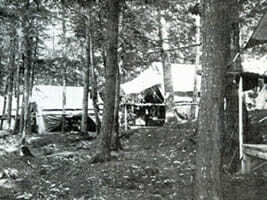 Camp during the 1920’s greatly reflected the personalities and interests of it’s Headmasters, brothers Eddie and Charlie Cameron. 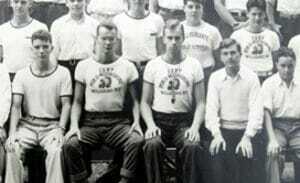 The program consisted of a mix of team and individual sports, music and academics. 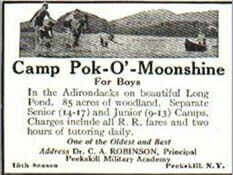 Approximately one-third of the 180 or so annual campers still came to Pok-O via the Peekskill Military Academy. 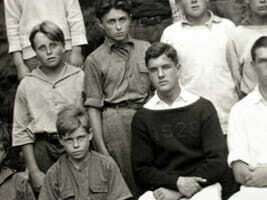 The Great Depression surely had an impact on camp: During most of the late ‘20’s, camp enrollment stood at about 165 boys; by 1933, that number was 77. 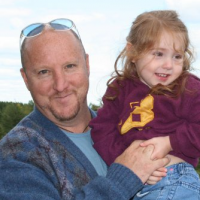 Compounding the situation, to meet financial needs, camp tuition had gone up to $295. 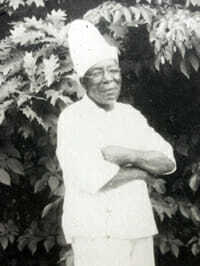 1n 1935, Sadie Robinson, Doc Robbie’s wife, passed away and Sarah Robinson Swan was promoted to assistant director. Under the leadership of Headmaster Robert Proctor and Master, Skip Storer, Pok-O continued it’s commitment to wilderness hiking, while introducing canoeing to the program. 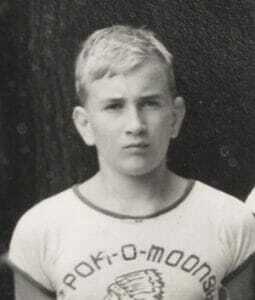 The effect of World War II was felt as far away as Willsboro, as many top staff left to serve in Europe and the Pacific, while campers at Pok-O had to make do with food rations, just like everybody else. Sadly, the decade’s biggest loss was that of camp founder and director Dr. Robinson, who suffered the first in a series of strokes in 1942, before passing in 1946. 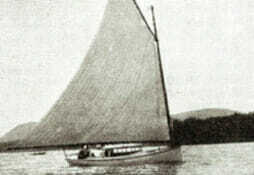 Sarah Robinson Swan took over as director, assisted by her husband, H.T. Swan. So long then may our Doctor live. 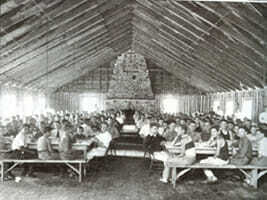 In 1954, Camp Pok-O-Moonshine recognized its 50th anniversary with a gala celebration along with the publication of the very first “Those Elysian Fields”. 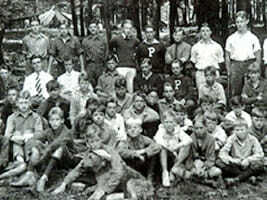 Camp property- left with the passing of Dr. Robinson- was sub-divided amongst the children; as a result, Pok-O senior section was moved from it’s original location to it’s current one. 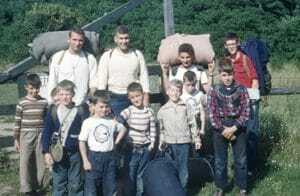 Camp alumnus Duane H. Nash III completed his ADK 46ers in 1955; two years later, contemporary counselors Peter and Tim Welles finished their 46. The ‘60’s, a decade of worldwide sociological change, saw the biggest revolution in camp’s history. 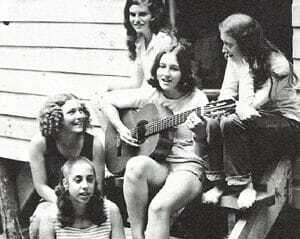 Camp MacCready (for girls) opened for business in 1967. 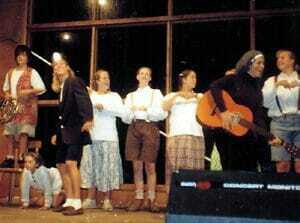 The decade also introduced ski week, Robinson Hall, the Advanced Section (actually, 1959) and, most important, the emergence of Jack Swan as camp Director. 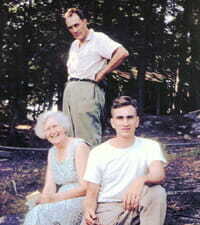 After spending seven happy decades at camp, Sarah Robinson Swan, “Aunt Sarah”, passed away in 1975. 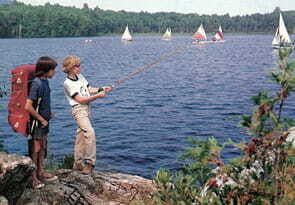 During the ‘70’s camp became a full-time, year-round operation, with the creation of both the 1812 Homestead and the Pok-O-MacCready Outdoor Education Center. 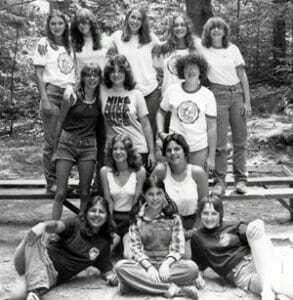 The still maturing girl’s camp continued to grow in numbers; by 1978, there were as many girl campers as there were boys. Changing of the Guard: In 1983, camp sadly bid farewell to “The Colonel”, H.T. Swan; that same summer, his grandson, Sharp Swan began a 14-year run as Headmaster…. 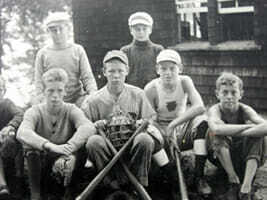 The decade saw an explosion in wilderness trips, with scores of boys and girls completing their Adirondack Forty-Sixers. 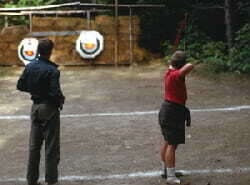 Throughout the 90’s camp augmented its traditional program with the addition of many new activities. 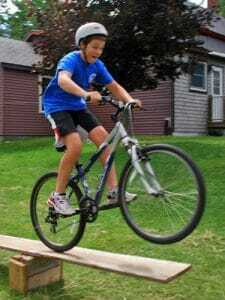 Among them: Kayaking; street hockey; computers; mountain biking; gymnastics, pottery; magic. 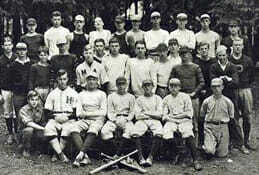 Special events such as “Jack’s Cup”, the Pok-O Palooza and the Senior Hockey League were born. 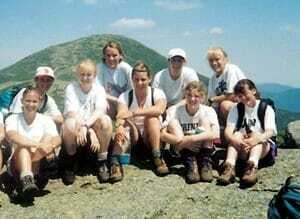 During the decade, 97 campers and staff completed their Adirondack Forty-Sixers. In 2003, Jack Swan stepped down after 40 years as director, passing the torch to his eldest son Sharp and insuring that Pok-O-MacCready remains the nations oldest camp under the continuing leadership of one family. At the turn of the century, camp’s biggest challenge has been to balance the technological demands of society, with the traditional concepts and values that have long been in place at camp…. 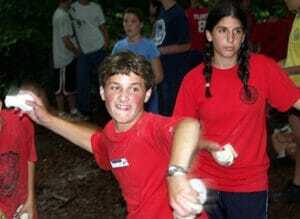 The decade will be most remembered for the festive and emotional week-long celebration of camp’s 100th anniversary. 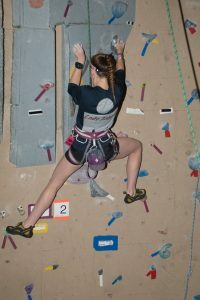 Aside from it’s commitment to summer fun and experiences, Pok-O-MacCready has increased its year-round presence, with a state-of-the-art all-season indoor climbing center, a conference center, and children and alumni programs and events scheduled during the fall, winter and spring. Our 100th Reunion, held August 16-21, 2004, was a smashing success. Over 450 former campers, staff, families and friends attended! 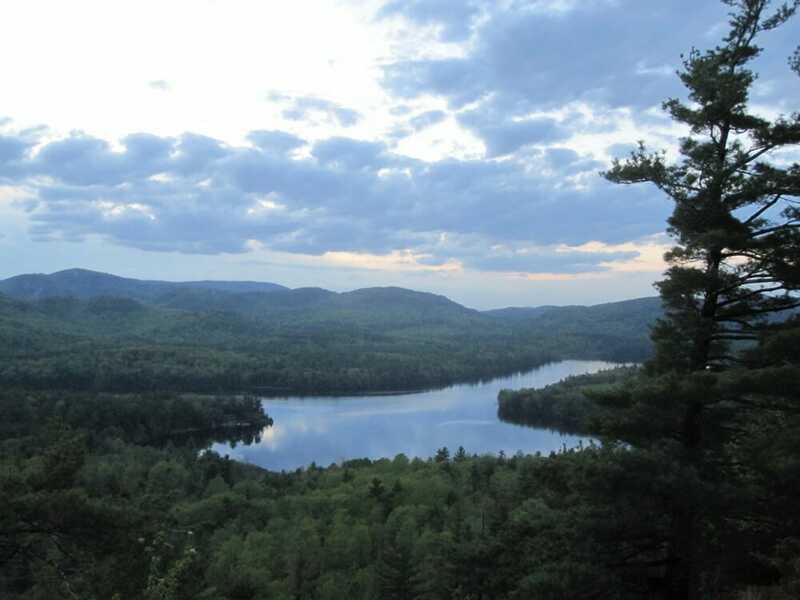 The Adirondack Scholarship Foundation, founded in 1981, is responsible for providing funds to families of children hoping to enjoy a summer camping experience. The foundation annually offers this special opportunity to several qualified individuals. Funds are raised from generous donations through fund raising events and activities; mail, phone and social media campaigns; and via corporate matching and capital gifts. The decisions of the board are based on a guiding principle, as well as the current state of the economy and camp enrollment. 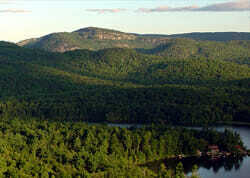 The Adirondack Scholarship Foundation does not discriminate based on race, religion or nationality. It is the Foundation’s philosophy that even if camp recruitment is highly successful, many slots will remain for qualified scholarship candidates. For the 2018 summer season, 23 children attended summer camp on scholarship (Request a scholarship application HERE). 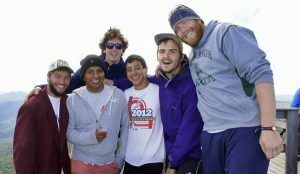 While the foundation’s associations are not limited to any one organization, it has, historically, enjoyed a mutually beneficial partnership with Pok-O-MacCready Camps.